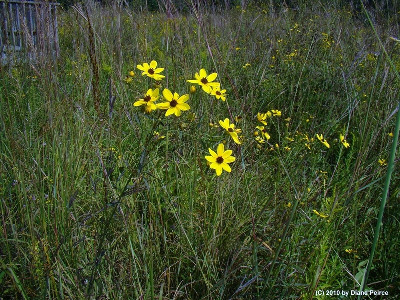 Dry to wet prairies, meadows, marshes; oak forests, especially borders and clearings; fields, roadsides, railroads. A species with distinctive leaves that will readily place it even if there are exceptions to the other key characters (e.g., unusually long outer phyllaries). Plants are sometimes pubescent, sometimes glabrous. MICHIGAN FLORA ONLINE. A. A. Reznicek, E. G. Voss, & B. S. Walters. February 2011. University of Michigan. Web. 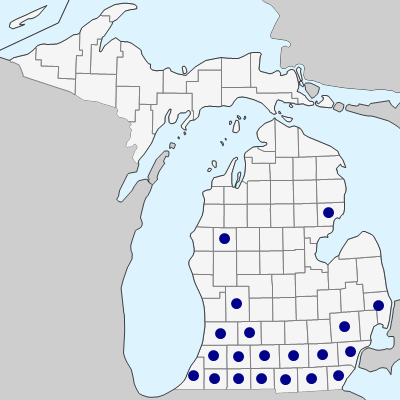 April 26, 2019. https://michiganflora.net/species.aspx?id=299.